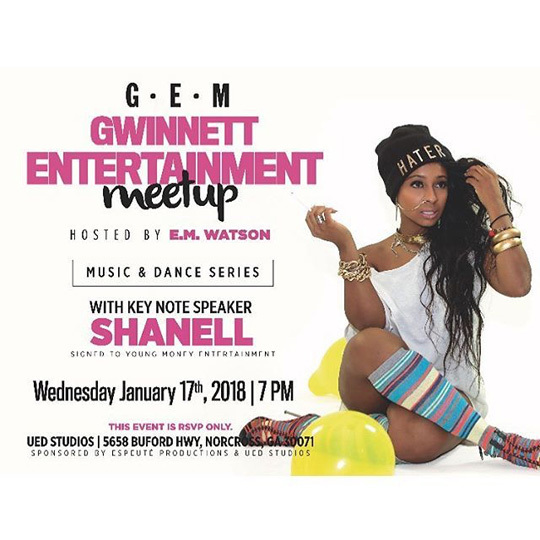 Tonight, Shanell will be making a guest appearance during the Gwinnett Entertainment Meetup (G.E.M.) at UED Studios in Norcross, Georgia. The Young Money Princess will be answering questions and speaking at the lecture to explain what it takes to get signed to a record label, what it takes to make it in the industry as a dancer, why artist development and branding is important, and more. You can get more details about the event on the flyer above and RSVP for it here! Will you be attending the G.E.M. later today?